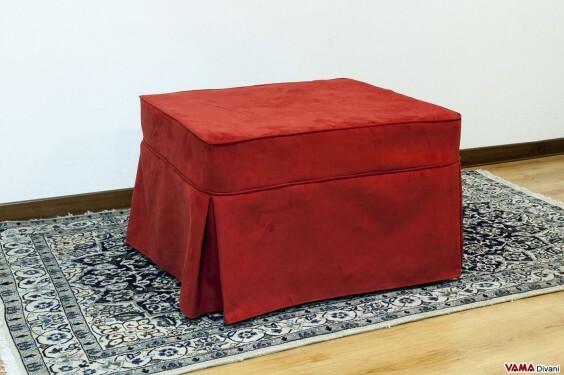 The footstool bed is undoubtedly a great innovation in the world of furniture, and it is really amazing how a small piece of furniture, such as a simple footstool, can be transformed into a single bed, similar to traditional ones regarding convenience and comfort. The basic concept is the same of the sofa bed: with a simple gesture, the footstool can completely change its structure, thus becoming a comfortable and ready for use bed. Obviously, from a technical point of view, getting a bed by a small piece of furniture such as a footstool is quite another thing that drawing it from a medium-large sofa. 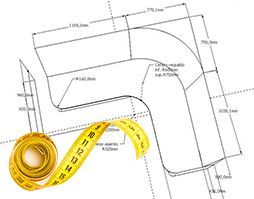 The VAMA Divani Italian craftsmen have supervised the design of this new product in a very careful and laborious way and the final results are more than encouraging: our footstool bed is perfect both for functionality and for design. 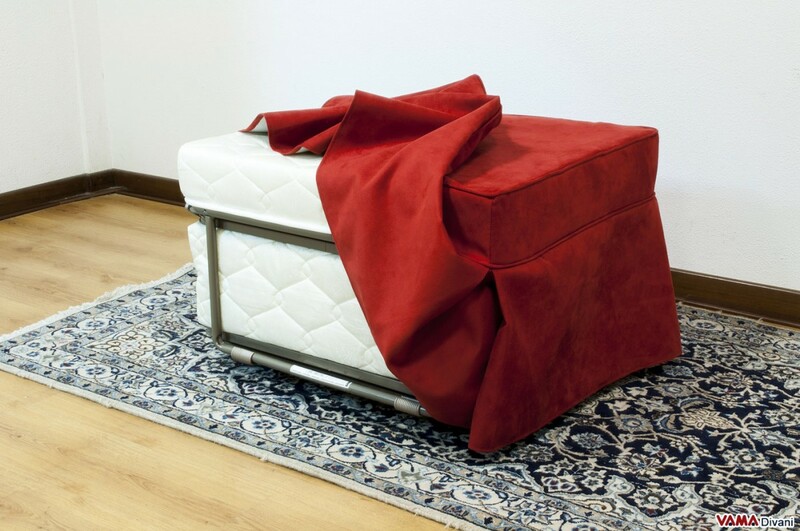 When it is in its footstool version, in fact, it is absolutely impossible to guess that it can turn into a bed: its structure, the inner mechanisms and the folded mattress are, indeed, completely covered by a upholstery that acts as a real "dress", which can be realised in fabric or in leather. 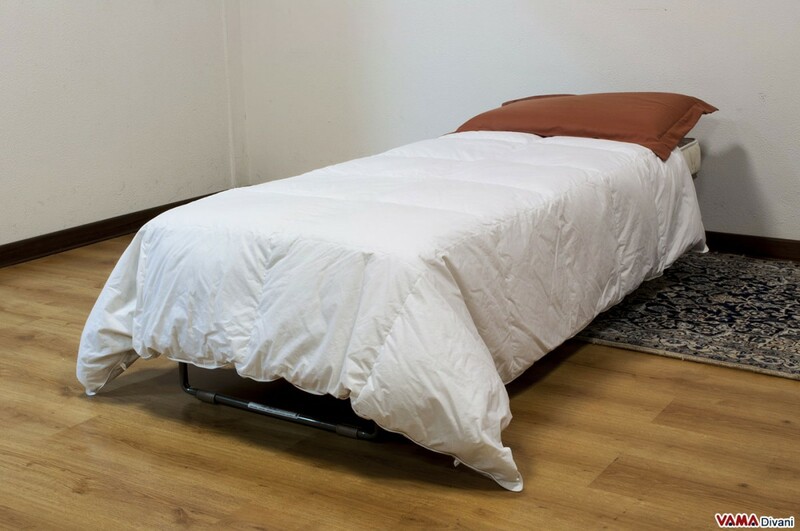 To use this footstool as a bed, however, we have only to remove the cover and open the mattress, a comfortable 12 cm thick mattress that allows a person to be able to rest with great comfort. 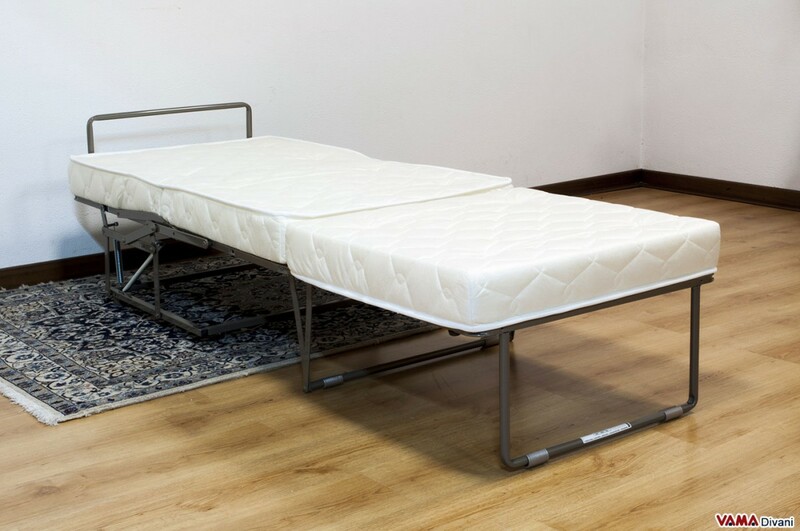 The footstool bed by VAMA Divani, therefore, is a true masterpiece of furniture, and it is perfect for those who want to have one extra bed always available, without any clutter. 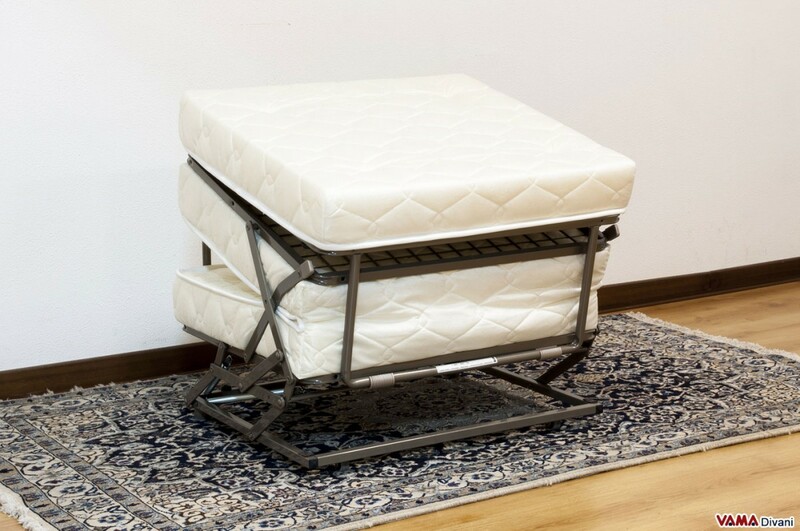 Due to the complexity of its internal structure, the footstool bed is available only in standard size.